At some point you'll be walking around the house and start to notice the carpets looking lose and buckled and in some cases, carpeting that shows these signs may need to be stretched. It doesn't matter how old the your carpets is wether its relatively new or older in age, professional stretching by a company like TLC Carpet Care in Castle Rock Co may be necessary. If your carpets are buckled or lose stretching should be completed as soon as possible. This is because some loose carpeting areas may pose a safety hazard especially on stairs. Carpets that does not lie flat on the padding or sub floor, for example, may pose a tripping hazard and cause a family member to get injured. In addition, carpeting that is not flat may snag or develop other signs of damage. It may also wear unevenly, and this can decrease the life span of your carpet. It will also wear out the latex in the backing of the carpets. Another factor is when your ready to have your carpet cleaning done and buckling may hinder the carpet cleaning process. So stretching will always be recommended first. 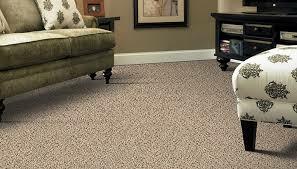 If you believe that your carpet needs to be stretched, the first thing to do is is to contact a professional carpet installer TLC Carpet Care in Castle Rock Co has tech who have years of carpet stretching experience. You can call TLC anytime for assistance. The techs will help you determine whether stretching is necessary or how it needs to be done. He may ask you remove all the furniture in the room. There are various processes when it comes to stretching carpet and every job is unique, and the tech will determine which methods are needed to correct the issues with your carpeting. For example, re-seaming carpets may be all that is needed on some job sites. Carpets that are loose may require different tacking strips to be replaced, and the a knee kicker or power stretcher will be used to pull and stretch the carpet into the replaced tacking strips. In many job sites the process of stretching carpets may result in the need to cut away some of the excess carpet in the room before the work can be completed.